A brand new library and cafe in Trowbridge is set to open in September in newly refurbished shared service premises. The development is part of a County Council programme to re-invest estate consolidation savings into key services. 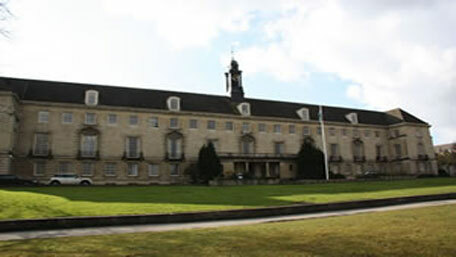 Wiltshire Council has announced it is on time and on budget with the first phase of the Trowbridge County Hall refurbishment, which includes the library and new customer access point due to open September 2012. The updated building will also house a registrar’s office and improved facilities for weddings, to open summer 2013, alongside improved office space and community space. Existing activities held at the library, including rhyme time and health advice sessions, will be transferred over to the new building. Its opening hours will be increased to include Wednesday afternoons, and there will be more books for loan. Wiltshire County Council press release.